Tsutomu Katoh with one of Korg's many creations. 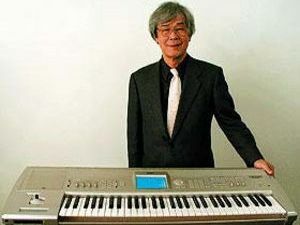 We were saddened to learn of the death of Korg founder and Chairman Tsutomu Katoh yesterday following a long battle with cancer. As head of Korg, Katoh oversaw the launches of some truly groundbreaking products and his place in music technology history is assured. Only recently, his voice was sampled by Gorillaz on their single Doncamatic (All Played Out).